The recent spate of advertisements focusing on life-enhancement through medical science. 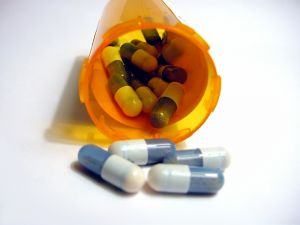 While making these advancements, the companies are also working to market their new product to consumers, a process that sometimes has two steps: 1) Convincing the customer that they are facing a meaningful health issue, and 2) Convincing the customer that the product is an effective treatment for said condition. Uncertainty about both the condition and the treatment can lead to poor results when the product is ultimately used. Our San Francisco products liability team works to help the victims of dangerous drugs recover when companies market and sell unsafe medications. Abbott Laboratories manufacturers Androgel, a testosterone gel used by millions of men worried about low testosterone (“Low T”) levels as they age. Testosterone levels decline starting around age forty and drugmakers, along with some physicians, have touted the benefits of gel for reversing some signs of aging. However, as discussed in an Associated Press article carried by the San Francisco Chronicle, there is a disturbing lack of evidence supporting the treatment. The Low T debate is only one example of the increase in attention to problems once considered a normal part of the aging process. With the aging baby boomer population and longer life expectancy, drug companies and others have targeted age-related changes with promises of longer youth. Print and television advertisements targeted testosterone treatments rose more than 170 percent in the past three years with over $14 million spent in 2011, leading to a 90 percent rise in the number of prescriptions in the last five years. As a whole, testosterone therapy is not entirely new. Injections have long been used to treat certain medical conditions that lead to a drop in the hormone. However, the latest push markets the hormone to a wider range of otherwise healthy men. Some researchers worry that the treatments are being marketed without sufficient scientific support, including disagreement about what constitutes a normal hormone level in older men. Further, there is little understanding as to whether replacement therapy actually helps symptoms that advertisers associate with Low T. In one study on 230 men in 2008, treatment did not statistically improve muscle strength, bone density, or overall quality of life. Another study is currently underway through the National Institute on Aging, but results aren’t expected until 2014. Even more disconcerting is the lack of studies examining the long-term side effects of the hormone treatments, including a risk of heart problems and prostate cancer. Researchers halted one study at Boston University in 2010 after finding older men on the treatment were five times more likely to experience a serious heart event than those using a placebo. Nineteen other trials conducted in 2006 also found a significant increase in prostate cancer among those using the hormone. Another 2006 study by the Endocrine Society on testosterone treatment involved six co-authors, all of whom received consulting or research fees from drug makers for creating prescribing guidelines for doctors using the hormone. Those researchers still did urge caution, casting further doubt on the safety of the therapies. Medicine can be life-saving. The discovery and use of penicillin truly revolutionized the world. However, sometimes drug companies put profits above health care. If you or a loved one has suffered an adverse effect from a medication, please contact our San Francisco dangerous drug law firm.